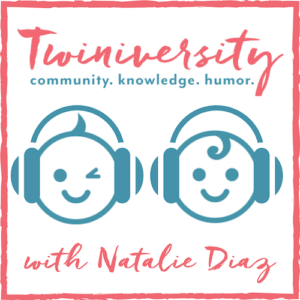 The Twiniversity “What If…” series features unexpected circumstances in the life of a twin parent and how our Twiniversity members have coped with them. We hope that they might help you feel more prepared if you ever find yourself in the same situation. One of the best pieces of advice I received when I discovered I was pregnant with twins was crass and hard to hear: “Whatever you think your birth plan is — you can take it, crumble it up, and throw it out the window.” I didn’t believe in that advice, but it was important that I heard it. It set me up to better expect the unexpected. 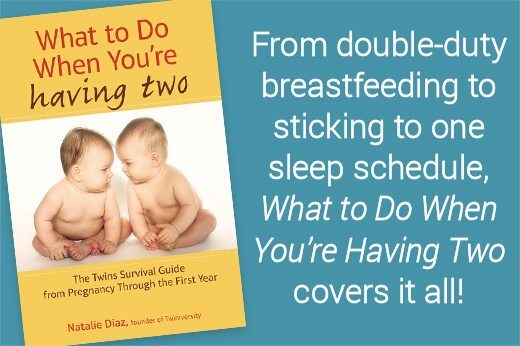 Whether you want a natural birth, a medicinally assisted birth, a Cesarean section (c-section), or you don’t really have a set plan: the sooner you learn that your kids are the boss and that you require flexibility to keep your sanity, the better. 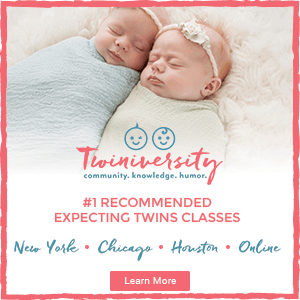 As the twins were my first (and only) pregnancy, I didn’t know what to truly expect when it came to the birthing process. Of course, like every other pregnant woman, I’d heard many well-meaning mothers recant their birth stories like old veterans retelling their war stories (and sometimes just as gruesome). 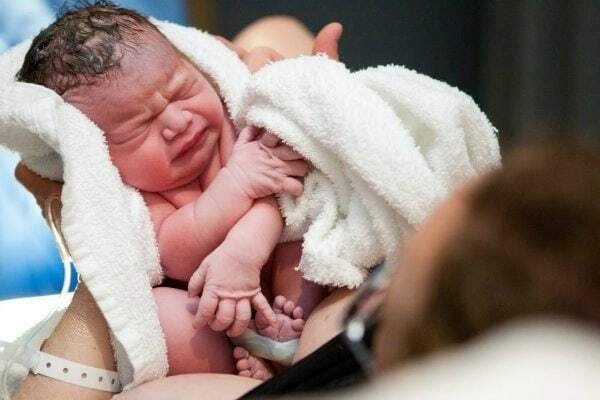 Not all of those mothers clarified that every pregnancy was different; every birth is also different. Every woman that I was close to that had given birth had done so vaginally, so when I learned I was pregnant I assumed that I would have a “normal” birth: go through a lot of pain, birth a baby, and everything would be unicorns and rainbows from there. I was mildly misinformed. When I found out I was having twins, I still held out hope for a vaginal delivery, though I knew it was less likely and the unicorns were definitely out of the equation. Baby B took their place. Time passed and Baby A was breech with less and less chance of flipping around. And even if he flipped around, it didn’t mean Baby B would cooperate and I certainly didn’t want a “double whammy” (a vaginal birth for one baby and a C-section for the other). 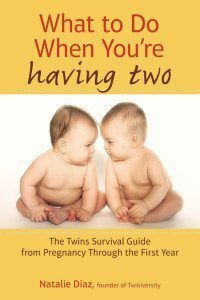 I joined an online support group for twin moms and a lot of my stress regarding the birth was put to ease. There were women sharing positive stories of every kind of birth; some ladies were happy to experience both types of birth in one shot. As I slowly came to terms that I would have to have a C-section — as much as one can — I focused my overwhelming anxiety on carrying the babies as long as I could. Because now that a double whammy wasn’t the worst experience I could have — now a stay in the NICU was. Maybe a class in the power of positivity would come in handy for someone wired like me. So when food poisoning led to contractions at 33 weeks, I was terrified for what was to come, knowing babies born that early would end up in the NICU. Thank goodness IV fluids were effective in stopping the contractions and I was given steroid shots in case they came early, so their lungs had a better chance of being able to function. I was cleared to go back to work. A few days later, I saw an OBGYN at my practice that I had never seen before. I told him I didn’t feel as though I was fit to work anymore (for all of the reasons that are typical with twin pregnancies) and I asked him to sign the paperwork so that I could start my leave-of-absence/FMLA from work three weeks before my scheduled cesarean section. His response was unfavorable and he would not sign off on my leave. I really struggled with feeling “lazy” for wanting to take a few weeks off before their birth to “bake” my babies. Looking back, I am so ashamed that I did not listen to my body. I should’ve taken that as the first lesson in listening to the mommy instincts. I decided to finish out the week at the office and then I would do whatever work I could remotely until the babies came. I left work on Friday. I was shocked when I went into labor the next day. I don’t think I wanted to believe I was in labor. It was completely different from the contractions that the food poisoning had triggered and I slept through most of it. I would get up to pee a thousand times which was only a couple hundred times more than usual at that point. And I believe one of those trips included my water breaking and me being unaware. I waited until 6 or 7 am and woke up my husband to let him know contractions had started and they were a few minutes apart. He called the doctor and we were told to head to the hospital. I was in such denial that this was the time the contractions would lead to birth. We even walked from the parking garage to the hospital. By the time I got a pelvic exam, Baby A’s knee was visible. I had to having an emergency C-section and be put completely under anesthesia for the birth — a prospect I had never even considered. Upon waking and learning the babies were in the NICU (and that they would be fine), I was caught up in a whirlwind of emotions and action. The physical healing from the major surgery of having a C-section was eventually underscored due to the emotional healing I would have to do from their delivery and hospital stay. Only later did I process missing the moment they entered the world; not seeing their first breaths; not hearing their first cries; not snuggling them and holding them on my chest in their first moments. And apparently, after they are out, you can’t put them back for a do-over…which is unfair. 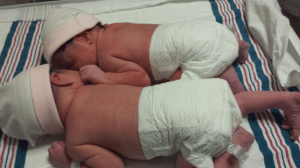 My husband and I always talked of only wanting two children — this would be my only pregnancy. 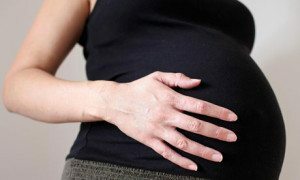 But I always wonder what it is like to be present/conscious for the birth process or to have a vaginal birth. 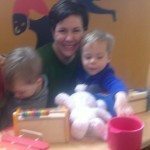 The doctors told me I would be a candidate for a VBAC (vaginal birth after C-section), but I don’t think my desire to have a more conventional birth overrides my desire to be able to provide (emotionally and financially) for our children. I certainly had to take the initiative to mourn the entire birthing process, as it is not something that people readily discuss a need to grieve. Nor is there ever ample time to process your own emotions when you have a newborn (or multiple newborns) under your care. But attempting to be healthy — physically and emotionally — is an important part of being a parent. It has taken lots of time and lots of discussion regarding the experience with my husband, mother, and girlfriends, but I feel as though I am at peace with not getting the birth experience I wanted. And knowing my little ones as I do now, I would be fine with any method of getting them into this world because they make this it a sweeter place for everyone they encounter. Lindsey Blender lives in a suburb of Philadelphia, Pennsylvania with her husband of 7 years and her 2-year-old twins. She is a military wife; her husband has been in the military for the past 12 years and will be ending his military career soon. She works part time at a toxicology laboratory and loves to learn, play and adventure in her free time.